It may be cold outside but I am busy painting images of summer. 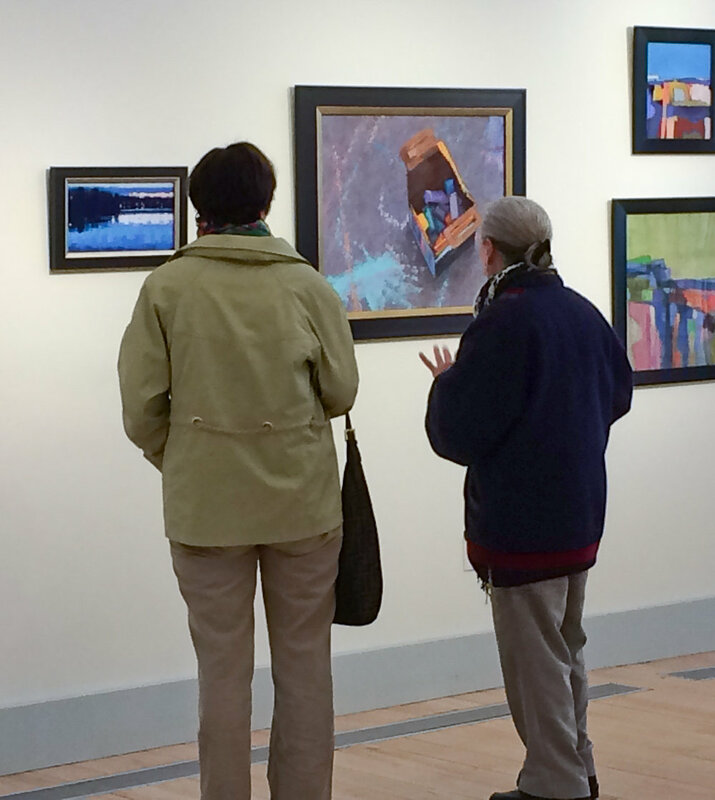 The show will take place place from June 8th to July 14 at the Marion Art Center in Marion, Massachusetts. Shimmering and Serene, an article in the August 2017 issue of the Pastel Journal, features my paintings of reflected light on water, a subject I find endlessly challenging and fun. To read the full article click here. It was an honor to receive this medallion at the IAPS convention in Albuquerque, NM in June of 2017, joining a group of very talented painters. Welcome to my new studio in Old Lyme. For the last few years I have been painting in a spare bedroom and it is pleasure to once again be in a space where I can create large scale work. From time to time, my neighboring artists and I hold Open Studio events. If you would like to be notified of events at the studio or other gallery shows please click here. The studio is at 16 Lyme Street in Old Lyme, and is open by chance or appointment and Thursday, Friday and Saturday from 11-2. I just received news that Sunlit received an Honorable Mention at the 29th International Society of Pastel Artists (IAPS) Juried Exhibition. This is the second award for this pastel which was also honored with the Art Spirit Foundation Dianne B Bernhard Award from the Connecticut Academy of Fine Arts. Prints of Sunlit are available on archival paper or canvas. I was waiting for a train when I turned my head and there was a painting waiting to happen: the perspective lines of the wires were all pointing at the perfectly positioned guy wearing the orange tone I would have picked to compliment the cool sky and snow. 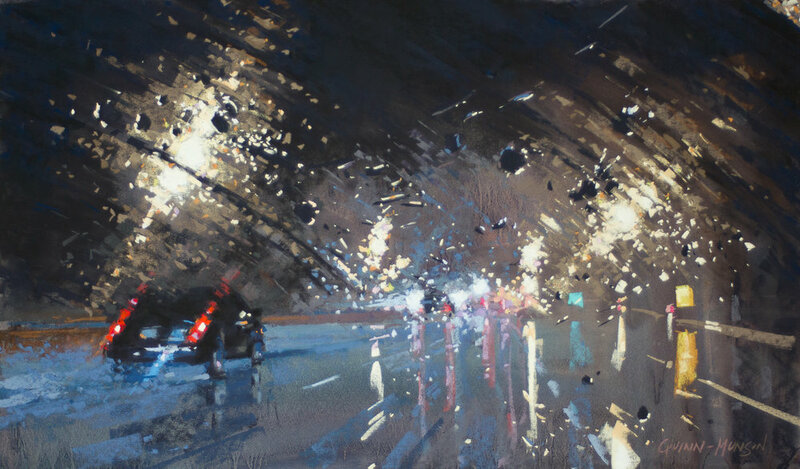 It has received awards from the International Society of Pastel Artists and the Connecticut Pastel Society. For prints, please contact me by email. I was picking up vegetables at a farm and while parents were busy chatting, their children were busy covering the concrete pad with what were to me, striking abstract designs. That freedom that a child has to just make marks, to make art is at the heart of abstraction. If you are interested in a print of Sidewalk Art, please contact me by email. Sidewalk Art is on display at the Renaissance In Pastel Show by the Connecticut Pastel Society. While many of you are familiar with my landscape painting, figurative work still calls to me. 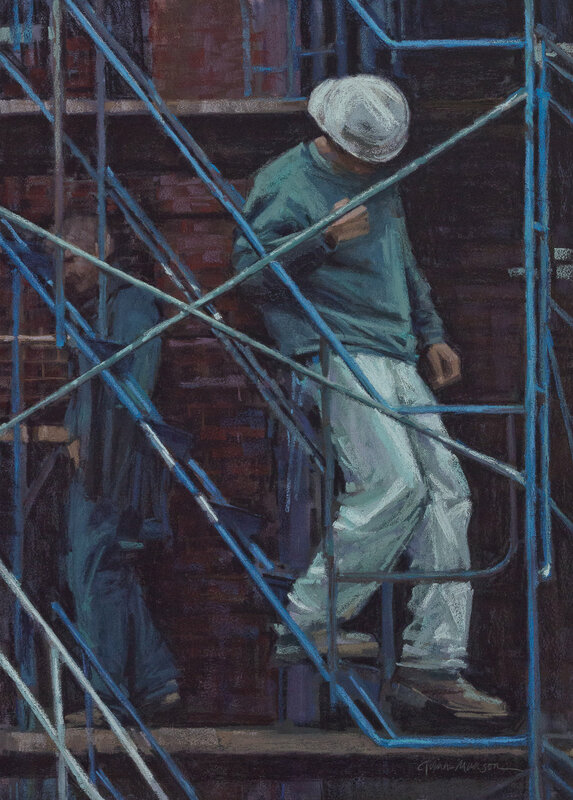 My hard hat worker and his surrounding geometry was awarded the 2014 Great American Artworks Award by the Pastel Society of America.